Nordic Light Hotel is located in the center of Stockholm with Arlanda Express and the Central Station just around the corner. Within walking distances you will find all the best about Stockholm, The Old Town, shopping mals, the amusement park Grona Lund and the international casino called Casino Cosmopol. 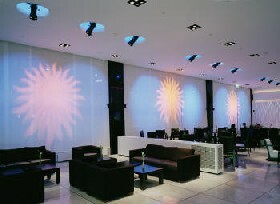 Nordic Light Hotel unites form with function to ensure an agreeable, comfortable place to stay. Nordic Light Hotel is based on a design concept embracing innovative thinking, creative architecture with local inspiration, the special characteristics of the Nordic Light Hotel and staff with a feeling for attentive service and the well-being of their guests. Working for a sustainable environment is important for Nordic Light Hotel and in October 2011 they introduced Meet Free Mondays. 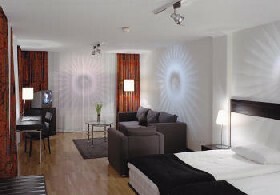 Nordic Light Hotel has 175 rooms and the room interiors reflect the elegant simplicity found throughout the hotel. Comfort is of the highest level. 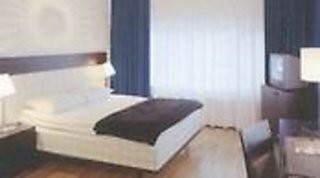 Swedish-made quality beds and maximal sound insulation ensure undisturbed sleep. All rooms are equipped with Swedish quality beds, Wifi connection, cable-TV, safe with space for a laptop, minibar, kettle, ironing board and iron, hair dryer and bathrobe. All of the rooms are non smoking rooms.